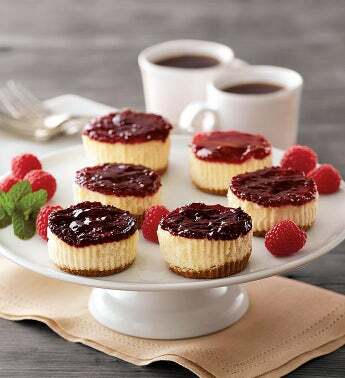 Each of the six cupcakes in this delightful dessert delivery is like a perfectly crafted cheesecake unto itself. We've taken creamy, mouthwatering New York-style cheesecake, layered it over a sweet graham cracker crust, and then hand-decorated it with thick strawberry, raspberry, or cherry topping. Pair these sinfully sweet creations with rich coffee or a light, fruity beverage for an especially pleasant experience.